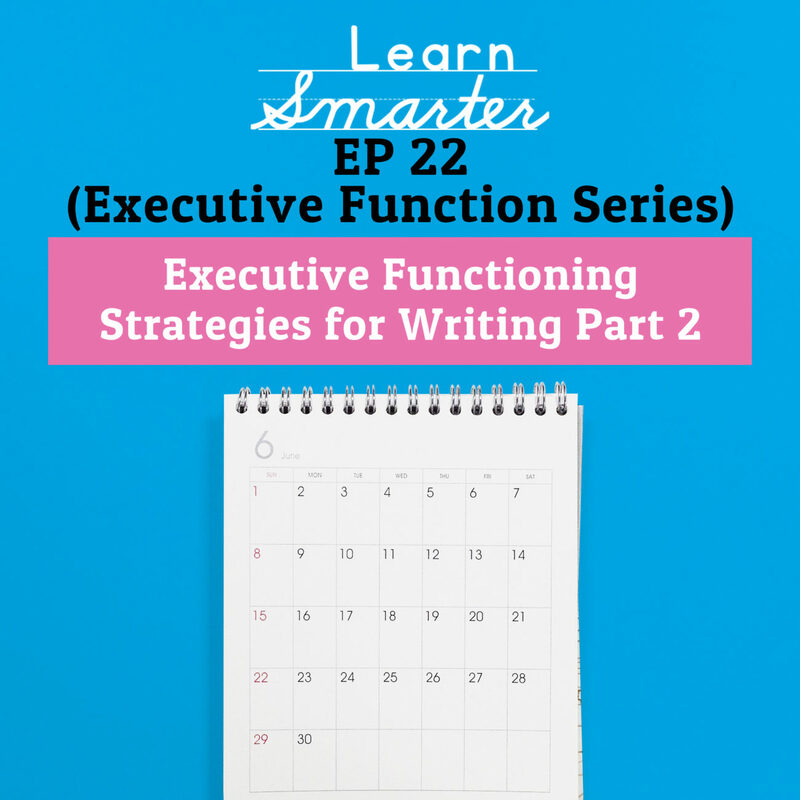 Adding to their conversation from last week, Rachel & Steph continue their deep dive into writing strategies. In this episode, they chat about how spelling, syntax, and grammar are secondary concerns to the larger task of communicating ideas. They also talked about the importance of being prepared for writing and how to take action while reading the book (be sure to listen to Episodes 17 and 18, linked below, to learn more about this). Also, Rachel and Steph go through the process of breaking down a prompt and explains how to take sentences and turn them into questions for the writer to answer. They also talk about analysis and some simple tricks to make it easier. 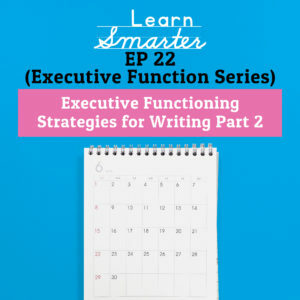 Episodes 21 and 22 have been a complete survey of various writing strategies that can tremendously improve the experience of a struggling or avoidant writer. There is so much more to dissect and talk about so be sure to listen to future episodes of Learn Smarter: the Educational Therapy podcast to learn more. You can also connect with Rachel & Steph at learnsmarterpodcast@gmail.com, @learnsmarterpodcast on Instagram or in the Smarties of the Learn Smarter Podcast Facebook group.